We are your local source for quality rugs! 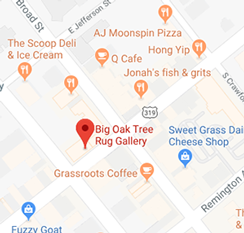 From the moment you step into Big Oak Rug Gallery, you’ll feel you have arrived at the right place for the perfect rugs in Thomasville, GA. We have a vast inventory, and we do not sell our rugs on the internet. We interact one on one with our customers. That’s because we’re convinced it takes much more than a photo to make such an important decision. At Big Oak Rug Gallery, we believe oriental rugs are a work of art, and that you must gain a real sense of the piece! Look carefully at the rug colors and tones from all angles. Touch the wool and walk on the pile. See if it suits your personal taste and if the rug is the quality you desire! Many customers drive from Albany Tifton, Valdosta, and even Atlanta Georgia to shop with us! We have over 1000 Oriental Hand Knotted Rugs in Thomasville, GA to choose from including Vintage Rugs, New Rugs, and Antique Rugs. Maybe you prefer a lighter Oushak rug, a modern more contemporary rug, or a traditional Persian Rug. We’ve got those too! You’ll find all sizes and designs from a very large 12’x18′ rug, perfect for your Great Room or large living room to a 2’x3′ rug for your powder room. We always maintain a large selection of the popular Oriental Rug sizes like 9×12, 10×14, 8×10, 6×9, 4×6 and carry less common sizes. Plus, we have many many runners available, short and long, in all oriental rug patterns. 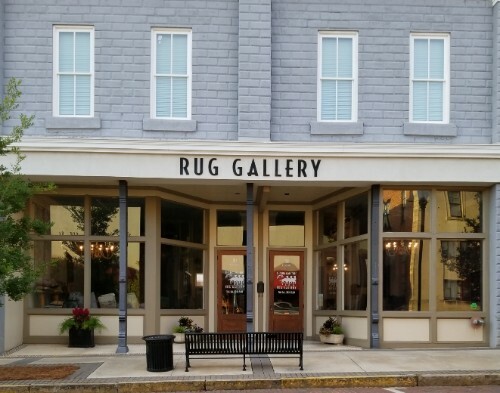 Big Oak Rug Gallery opened over 20 years ago in 1997 and has sold more than 7,000 Oriental Rugs at our rug store in Thomasville, GA. All our rug sales are made through personal one on one versus internet sales. We work hard to maintain an excellent reputation and have combined experience of more than 50 years. 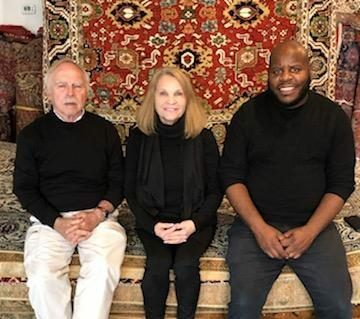 Our knowledgeable staff will make your rug shopping interesting, productive and fun. You’ll shop for Persian, Turkish, or maybe Indo Oushaks from our vast selection of new rugs in current colors. We provide a casual, friendly, and open atmosphere. And you’ll enjoy shopping in our quaint, historic South West Georgia town of Thomasville. We encourage you to take advantage of our in house consultation. We’d love to meet you at our gallery, then come measure and make rug suggestions that best suit the look you most desire. Bring your Interior Designer! We have many interior designers as regular customers and can provide the best service to suit your needs. Bring items, such as fabric swatches, paint chips, photos, or anything that will be helpful in making your Oriental Rug selection. Before making a final rug purchase, it’s important that you see the rug in your home. Oriental rugs are truly works of art and combine or align with your colors, lighting, art, and other furnishings. Plus, we are open to deliveries outside our usual market areas. Just ask us! Whether you’re looking for Turkish, Persian, or another type of Oriental rug, we have the perfect one for your home! Stop by our showroom or contact us today! It is not uncommon for our customers to drive more than 100 miles to shop at our store!